Jeff McIlwain’s contributions to a 3-0 week in CIU’s men’s basketball AAC conference play earned him National Christian College Athletics Association (NCCAA) Athlete of the Week honors Jan. 14. The junior from Englewood, New Jersey began the week with a double-double of 11 points and 12 rebounds in a 78-76 win over Point University. McIlwain then had 23 points and 13 rebounds in a 97-86 win over Montreat College. 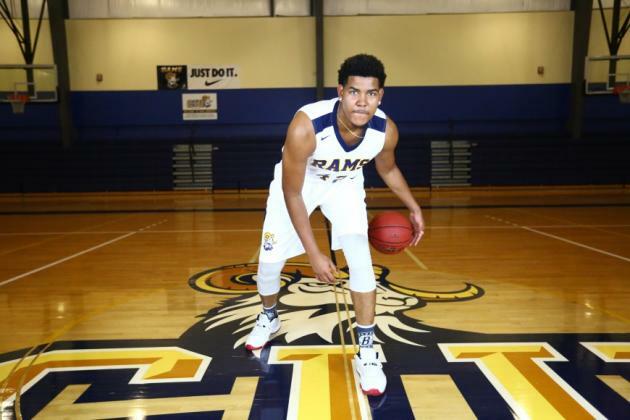 He finished the week with 18 points and 9 rebounds as the Rams defeated Truett-McConnell University 78-73. McIlwain averaged 17.3 points and 11.3 rebounds per game, while shooting 69 percent from the floor and 66.7 percent from the free throw line. Want to play for the CIU Rams? Find your sport at rams.com including CIU’s first baseball program.